Bettye LaVette Is the Comeback Queen After more than 40 years in the music business, Bettye LaVette is finally getting the notice she deserves. Her new album of Southern soul songs, The Scene of the Crime, was nominated for a Grammy and is still getting rave reviews. Bettye LaVette recorded her first hit, "My Man — He's a Lovin' Man," at the age of 16. She toured with Ben E. King, Barbara Lynn and Otis Redding. And now she's being crowned the Comeback Queen for her recent albums, I've Got My Own Hell to Raise, which came out in 2005, and her recent The Scene of the Crime. 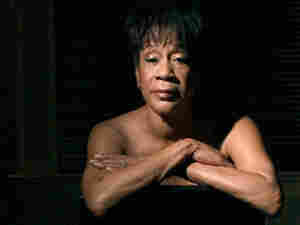 Most of the songs on the record are covers of soul classics that LaVette's husband, a record historian, played around the house, but she wrote the song "Before the Money Came (The Battle of Bettye LaVette)" herself at the prompting of Patterson Hood, guitarist and vocalist for the Drive-By Truckers. The Scene of the Crime isn't the first record LaVette made at FAME studios; a disc she cut there in 1972 was shelved by Atlantic. Those songs didn't see the light of day until the French label Art and Soul released it in 2000. Called Souvenirs, it reinvigorated LaVette's career and led to her signing with Anti Records in 2003.